According to Wikipedia, the term “Boilerplate” means any text that is or can be reused with little change. Clients sometimes assume that boilerplate language is also hollow and harmless. It is neither. Take two examples: what lawyers refer to as “Choice of Law” and “Venue” clauses. Each is relatively straightforward, but they pack a punch. Although these clauses are short, they are powerful. Pay attention to them. Each of the 50 states in the United States has laws that govern how to interpret and enforce a contract – from the simplest promissory note to a complex stock redemption arrangement. Although the laws from state to state are similar, there are important differences. For a small business located in Oregon, it makes sense to enter into contracts that: 1) require that litigation occur in Oregon; and 2) mandate that Oregon laws govern the disputes. For example, let’s assume a small business in Oregon wishes to contract with another business in North Carolina. The contract has a “Choice of Law” clause mandating that North Carolina law control the interpretation of the contract. It also has a “Venue” clause requiring the parties litigate in a North Carolina court. After a tumultuous two years, the two businesses have a dispute. 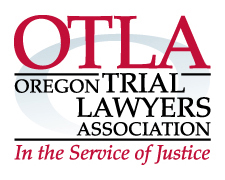 Oregon small businesses, if and when they hire attorneys, generally work with an Oregon attorney near the business’s offices. In our hypothetical, however, the Oregon small business must: 1) hire a North Carolina attorney to analyze the dispute under North Carolina law; and 2) then pursue or defend the dispute in North Carolina. Hiring a local attorney who does not know the differences between North Carolina and Oregon law, and who can’t practice in North Carolina, will do no good. The costs of this cross-country arrangement are much higher than they would be when hiring a local attorney to litigate locally. The North Carolina business will understand these costs, and use them as leverage. Our small business may then decide to drop their case because the choice of law and venue clauses make a victory too expensive to obtain. In the end, the situation may be cost prohibitive. “Venue” and “Choice of Law” boilerplate clauses have sharp teeth even if they are short in words. I have seen them force clients to drop otherwise solid claims. By limiting their negatives and maximizing their positives, however, one should use these clauses to better protect one’s business and contractual relationships.